Are you looking to increase your income? If the answer is yes, then working with real estate investors can be your answer. Learn how to be the GO-TO agent for potential investors for all of their investment needs. Would you like to take your income to the next level? Are you living from one commission to the next? Working with investors is the answer. Plus, building your own portfolio will bring you long-term financial security. Based on more than 40 years as an investor and 15 years as an agent, Fred Tichauer is convinced that working with investors—and becoming an investor yourself—is your ticket to increased income and financial independence. Real Estate Investors buy and sell properties more frequently than owner-occupied buyers, so you will earn commissions more often. 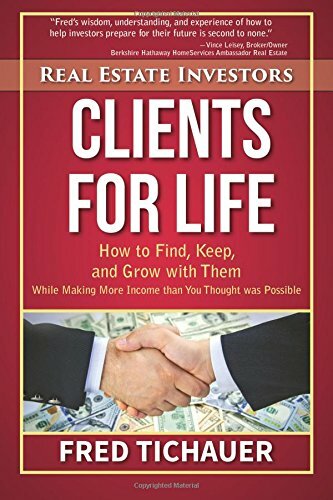 As you help your clients build their portfolios, you will watch your income grow more than you ever thought was possible! Fred Tichauer has been a real estate investor, agent, and broker for over four decades. He has helped many clients achieve the status of millionaire real estate investors, and leaves a lasting legacy for future investors as an instructor and consultant to those who wish to follow his lead.